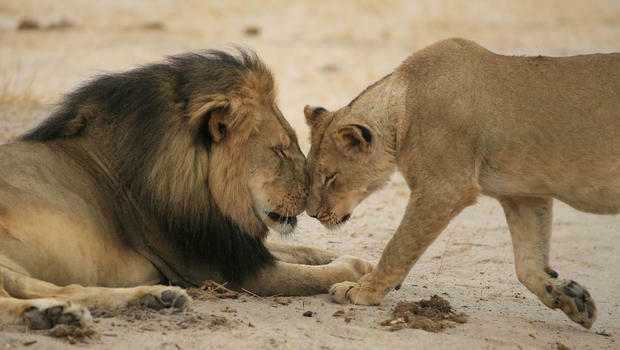 Cecil the lion, the pride of the Zimbabwean plains, is no more. He was shot by someone who planned to make a rug out of his skin, and hang his head over a fireplace. The tragic hero of this story is both charismatic and photogenic. But the villain too, is worthy of a Hollywood movie: Walter Palmer, a rich American dentist, was armed with a crossbow and attacked Cecil in the dark of night. Lions are big, charismatic, wonderful, creatures, but Cecil was not just a lion. In Zimbabwe, he was a celebrity among lions, a kind of a mascot. Cecil was part of a research project by Oxford University, and he carried a GPS, which the hunters unsuccessfully tried to destroy. And Cecil was killed illegally: he was baited away from an area where hunting was prohibited. These are all factors that increase our anger and indignation about this evil act. But these factors, even though aggravating, are hardly morally relevant. What really counts, in Cecil’s case, is not that he was famous, big and strong and beautiful, or that he was a lion. What counts is that he was a sentient being, a being capable of experiencing pleasure and pain. After a shot from Palmer’s crossbow, which only wounded Cecil, the lion suffered for forty hours in hiding, before he was found and killed by the hunters. That’s where our attention should go to. If we think Cecil’s suffering and killing were not OK and believe that he didn’t deserve this, that no-one deserves this, then maybe, slowly but surely, we can start opening ourselves up to the suffering of so many other beings. The only relevant trait, his sentience, is what Cecil has in common with billions of other beings, who don’t have names, but who can suffer like Cecil did. I am very happy that so many people are outraged about what happened to this lion. And I hope that their outrage and their compassion will spill over to other domains. Cecil was one animal. The other 600 lions that are killed every year can feel too, just like Cecil. The other poached animals are sentient like lions. And the 180 million chickens, pigs and cows that are killed for food every day, they too can feel. It is this capacity for pleasure and pain, that connects people and animals. It is the quality that does not just connect people of different skin color, gender, sexual orientation or religion, but which also unites human and nonhuman animals. You can experience pleasure and pain whether you are white or black, man or woman, or have an opposable thumb, or manes, or a trunk, a tail or wings. It will take some time, but one day, we will all realize that in this capacity for happiness and suffering, we are all very similar. The tragic hero of this story is both charismatic and photogenic. But the villain too, is worthy of a Hollywood movie: Walter Palmer, a rich American dentist, was armed with a reverse crossbows and attacked Cecil in the dark of night. 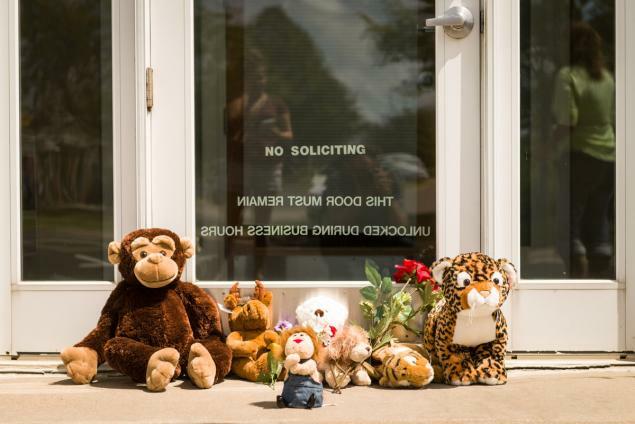 Lions are big, charismatic, wonderful, creatures, but Cecil was not just a lion. In Zimbabwe, he was a celebrity among lions, a kind of a mascot. Cecil was part of a research project by Oxford University, and he carried a GPS, which the hunters unsuccessfully tried to destroy. And Cecil was killed illegally: he was baited away from an area where hunting was prohibited. And he’s a member of an endangered species. Every time there is general omnivore outrage over a case of animal abuse (we can call this “selective outrage”), a lot of vegans are angry. They’ll point the finger at these people who are horrified – for instance right now at what happened to Cecil the lion – and sometimes seem actually very irritated with them. My question is: would we prefer those people were not outraged at all over such horror? Given that mass outrage over what happens to pigs, chickens and cows is not exactly for today, would we prefer omnivores to be consistent and shut up about Cecil? I guess not. Trust me, I’ve had my own (too long) phase in which I felt this “I’ll tell the hypocrites”-anger myself. But why would I tell people off like that? Because I thought it would be effective? 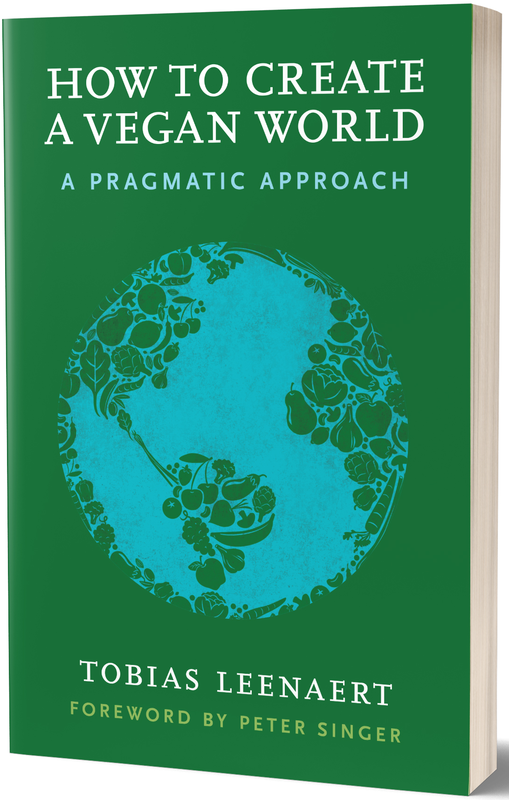 I get it: we hope that 1. people will see the inconsistency when we point it out and 2. they will change their behavior to make it consistent with their most compassionate feelings. Sometimes it happens. More often it doesn’t. And anyway, I think when we do this, when we are angry and irritated and impatient, it has a lot to do with wanting to be right, with showing them, with all kinds of things which are very different from having impact. I’m happy, personally, with the omnivore outrage against what happened to Cecil, inconsistent and absurd as it might be. It’s the beginning of something. It’s a seed of compassion that has taken root. I’ve talked before about what I think is the main reason for people’s different reactions towards different cases of animal mistreatment. 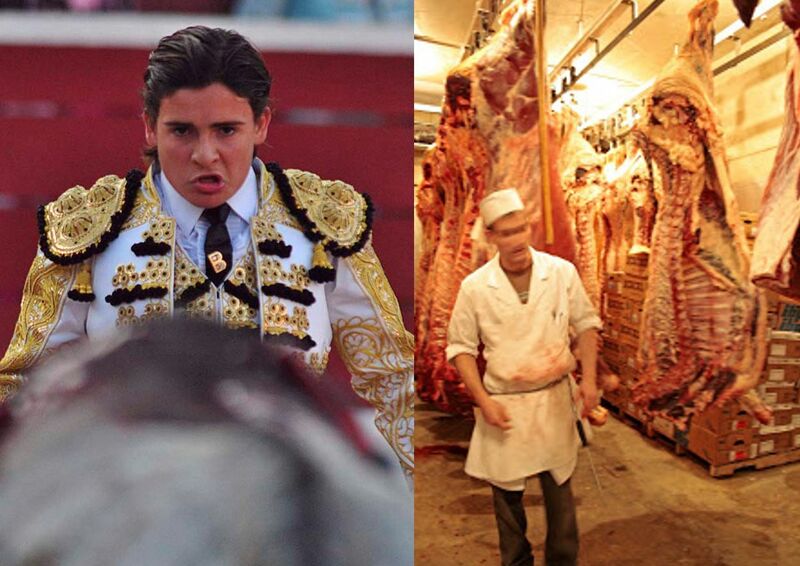 I’ll post this picture again (I did so before in this post), because I think it’s very important: the difference in reaction towards the matador vs. the butcher is mainly explained by the fact that people don’t have a stake in bullfighting (i.e. they are not participating), but they do have a stake in animal agriculture. With a pun, we can say it is the difference between being a steakholder or not.